An artist's rendering of an Uber flying taxi concept. Uber Technologies Inc. on Wednesday re-opened a contest to select the first international city to launch its proposed flying taxi project, following apparent delays in getting the service off the ground in Dubai, a previously proposed market. UberAIR, as the service will be known, aims to launch demonstrator flights starting in 2020 and begin paid, intra-city operations in 2023, the company said. Last year, Uber named Dallas and Los Angeles as its first launch cities and is now looking for a third, international metropolis to take part, Chief Product Officer Jeff Holden announced at its annual Elevate Summit in Los Angeles. The company said it will consider cities with a metropolitan population of greater than two million people — Toronto, Montreal and Vancouver would qualify in Canada — with dispersed population hubs, an airport at least an hour away from the city centre and which is willing to back pooled ridesharing services. Uber previously named Dubai as its third launch city but said on Tuesday it had reopened its selection process to include other cities which fit more of its criteria for showcasing how flying taxis can help to relieve urban congestion. "Dubai has previously expressed an interest in (Uber's) vision but we are broadening the pool given interest from other cities which is why we have launched this criteria and process," a spokeswoman said, adding that discussions with Dubai continue. Uber aims to speed development of a new industry of electric, on-demand, urban air taxis, which customers might order up via smartphone much the way it has popularised ground-based taxi alternatives since it first launched in 2011. 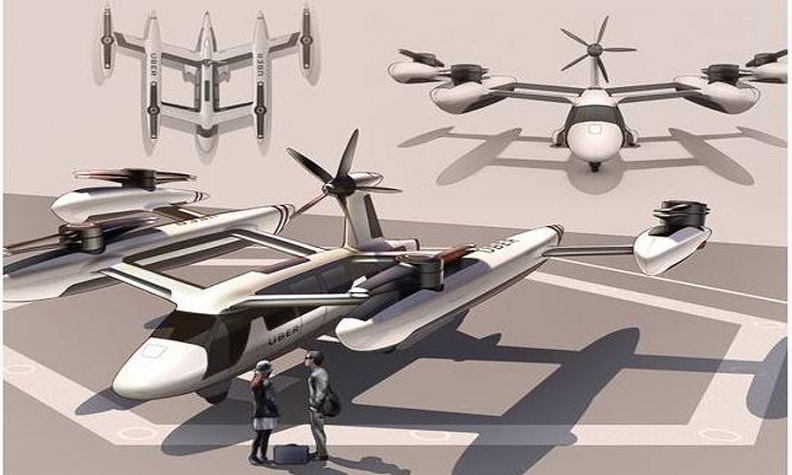 It envisions a fleet of electric jet-powered vehicles - part helicopter, part drone and part fixed-wing aircraft - running multiple small rotors capable of both vertical take off and landing and rapid horizontal flight. The San Francisco-based company is working with aviation regulators around the world to win up-front approvals, marking a break from past practices that put it at odds with authorities. Cities interested in taking part can apply here (https://uber.com/air). Uber said it was not looking for tax breaks or local incentives, but was keen to work with cities which can work to bring the project to market as quickly as possible.